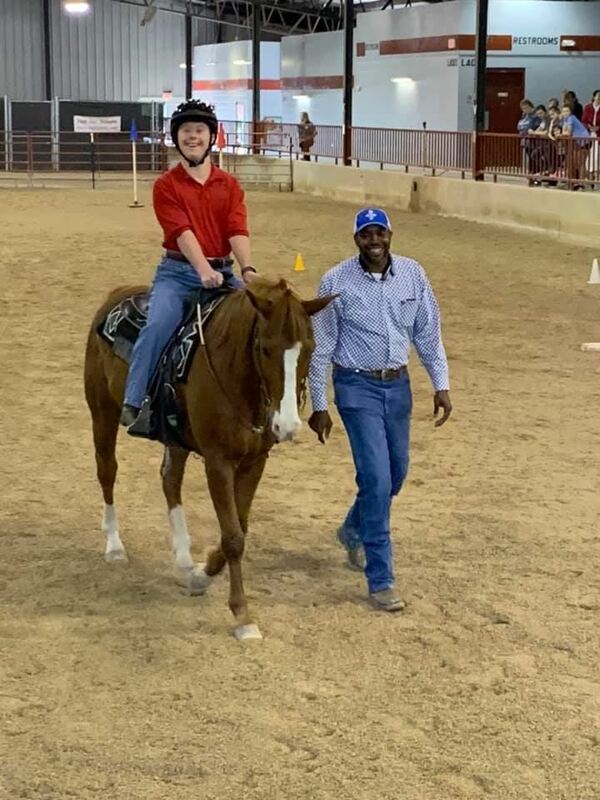 More than 30 years ago, Marianna Greene Henry encouraged her parents, Pat and Marilyn Greene, to begin hosting hippotherapy classes for AIDB students on their family farm. Her ultimate dream was to build a facility that would provide various equine therapy programs to children with disabilities. Tragically, Marianna died at age 31 before she could see her dream become a reality. As a family, Pat and Marilyn along with their son, Tim, carried out Marianna’s dream and founded Marianna Greene Henry Special Equestrians (MGHSE) in her memory. The facility is now world-renowned and accredited by the Professional Association of Therapeutic Horsemanship Intl. (PATH Intl.) and serves between 300-400 Deaf, blind, and multi-disabled children per year. MGHSE offers therapeutic programs to AIDB students such as hippotherapy, equine facilitated learning, equine facilitated mental health, equine facilitated psychotherapy, speech therapy, therapeutic riding, riders club, and trail rides. Through participation in these activities, AIDB students exercise static muscles, improve balance and motor skills, improve verbal skills, and build self-esteem, confidence, and pride.